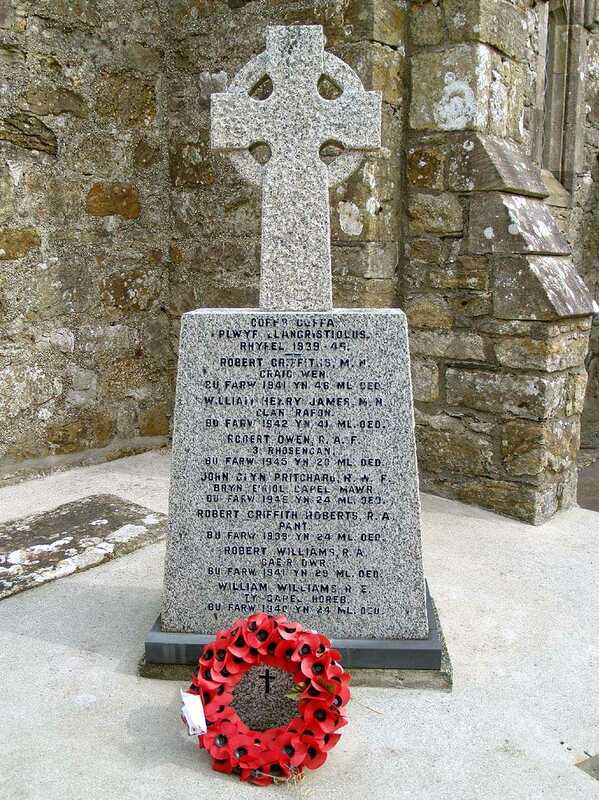 Anglesey, Llangristiolus, St Cristiolus's Church World War Two (WWII) War Memorial. Llangristiolus is a village on the Isle of Anglesey in North Wales. Situated in central Anglesey it is in an extremely rural area. The WWII War Memorial is located in the grounds of Llangristiolus Church, and is to be found near the porch, externally. There has been a church on this site at least since the early 7th century, although the Church as it is today is mainly from the 12th/13th century, with later additions and other works. The World War One (WWI) War Memorial is located inside the church and I will try to get access in the near future and post high res images of it here. In the meantime I have put together a table with more details of the casualties and posted them in a table below. Two of the casualties are actually buried in the churchyard, another in Llanfechell (Ebenezer Chapel), which means that they will have been sent home wounded or sick, only to subsequently die of their ailments. I have arranged the table in order of the date they died, so I am sorry for any inconvenience this may cause as you will have to search row by row for anyone you are researching. 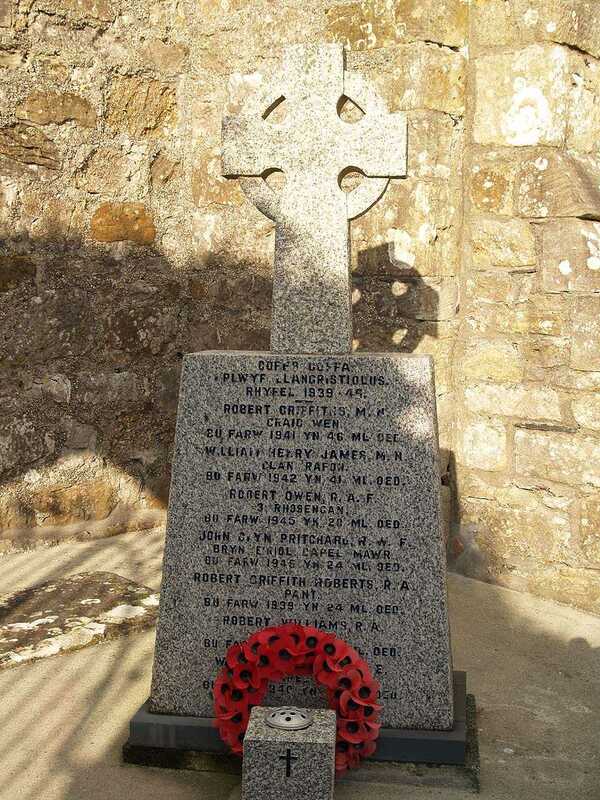 Anglesey, Llangristiolus War Memorial Names. Royal Welsh Fusiliers. 10th Battalion. Royal Field Artillery. 86th Brigade. Royal Welsh Fusiliers. 13th Battalion. Royal Engineers. 438th Field Coy. Royal Engineers. 24 Bomb Disposal. Royal Artillery. 163 Bty. 55 H.A.A. Regt. Royal Welsh Fusiliers. 2nd Battalion.